It’s a big year for the Superbowl. This year is the 50th one! 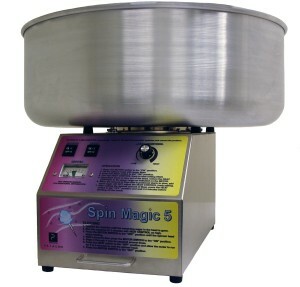 Here’s our list for the top 5 rented items for Superbowl Parties. We’ve set it up ourselves for hockey games. Take the biggest sporting event in North America to the next level. 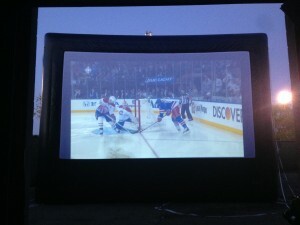 With a 20′ Movie Screen, it doesn’t get much bigger than that! Our movie screen not only plays movies, but it can be hooked up to any HDMI connection so that the game can be played live with big sound too. If you are planning a big party in a big location, this is the item for you. There’s only one screen available, so the earlier you book the better. What would the game be without snacks? Sure you have the nachos, chips and dip all ready to go, but some people have a sweet tooth. Adding cotton candy to the mix has been growing in popularity over the past few years and is always a favorite with kids. Pre-game like a pro. There’s no better event than the Superbowl to have this amazingly fun sports challenge. Who needs a pre-game show when you can run your own tournament before the game. Fast 1 on 1 action will get everyone excited for the game. Why not split your groups into teams and have a game outcome prediction based on your scores. Just like Tugga Touchdown, this pre-game activity is very popular around football sports events. 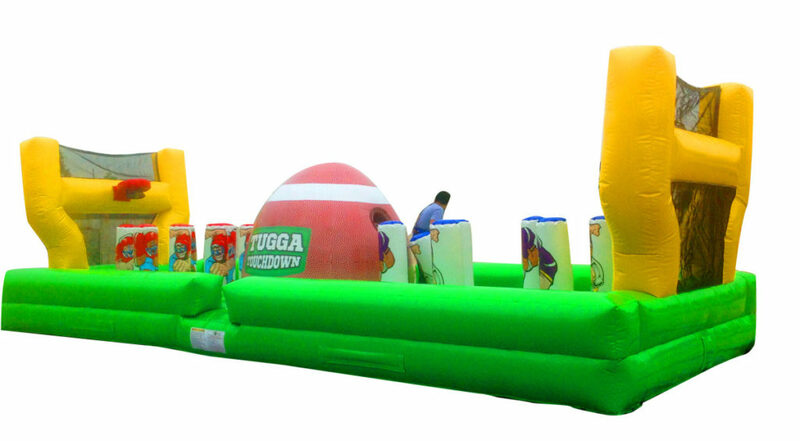 At only 12’x 7′ x 10′ high the compact Fantasy Football game is where you can show off your own pigskin tossing skills. 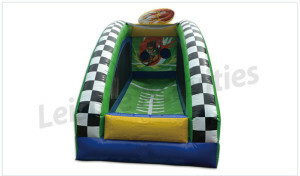 Yes, this is our most popular rental for the Superbowl, and sporting events. Everyone loves popcorn and with easy pre-packs, there’s no chores of measuring or mixing. 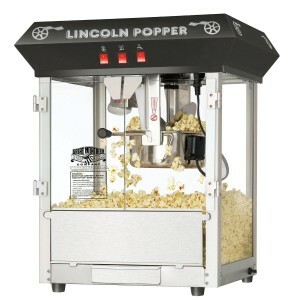 Bonus, we take care of the clean up when you rent a popcorn machine. Looking to plan your own Superbowl party? Book an inflatable for an event in February of 2016 and get a free Popcorn Machine, Cotton Candy Machine or Snow Cone Machine rental with it.